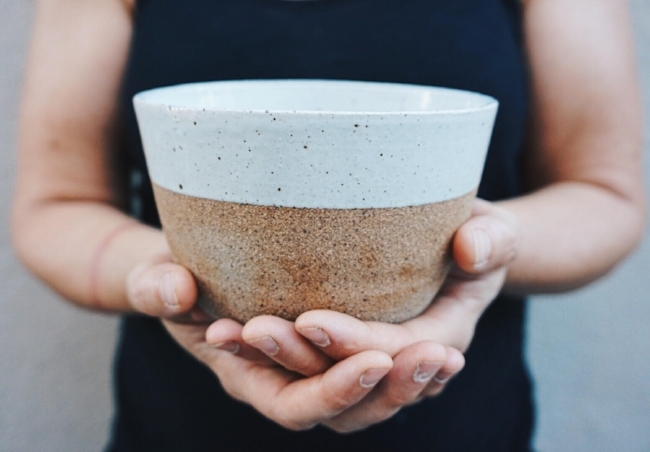 Everyday rituals drive me to create functional pieces of handmade pottery that collectors engage with daily. Beautifully crafted artisan mugs turn a routine cup of coffee into a moment to pause and reflect. An ability to craft handmade objects that become everyday fixtures, drives me to create original ceramic collections. The repetition and patterns that naturally occur in nature serve as a template for my minimalist creations. As in nature, no two pieces are identical. My technique produces ceramics with subtle textural differences, while remaining true to my signature profiles. Manipulating the contours of the clay using muscle memory, and engaging in the natural rhythm of pushing and pulling, serves as my meditation. Envisioning where my collections will land and the people that will cherish them is the allure of creating functional art.